This has to be one of the most hilarious trailers I’ve ever seen, and a bit sad too. A Game of Dwarves–made by Paradox Interactive–gives you control over a Dwarven settlement–and a gigantic one at that. So eventually you learn a lot more about these creatures and how they live. It’s up to you to level up these Dwarves and make them a force to be reckoned with. They are described as fickle creatures, living far below the crust of the Earth and having an insatiable appetite for treasure. 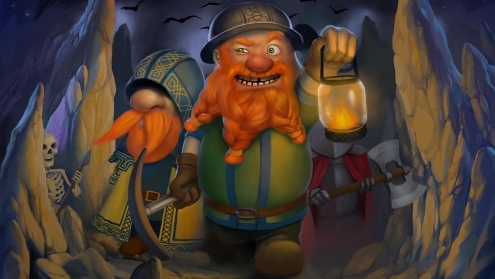 Quite the contrary, the dwarf is largely misunderstood and can actually be very accepting of those who have not amassed a considerable wealth of gold and precious stones. To prove this, Paradox Interactive recently deployed a video team of wildlife observers to capture footage of the dwarf in its home environment; this peek into the life of a dwarf has now been uploaded for the entire world to see. It’s not easy though. Your dwarves will be under attack from other creatures so you have to defend them too!